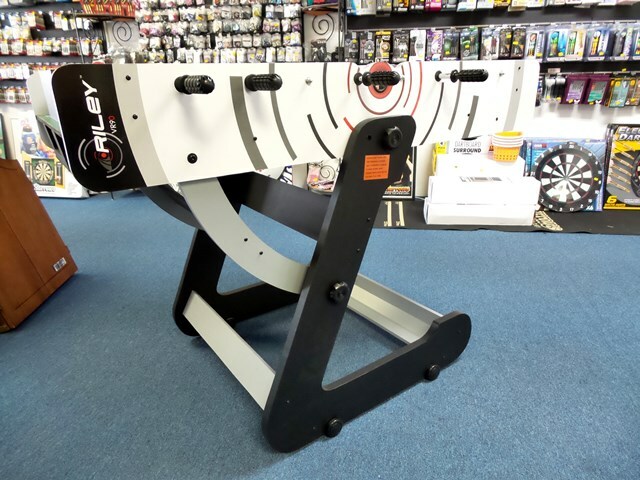 The Riley 4ft Rolling Folding Football Table offers plenty of fun for both children and adults. It’s aesthetically pleasing but also very practical to use. The table’s design allows for folding it into an upright position for easier storage. 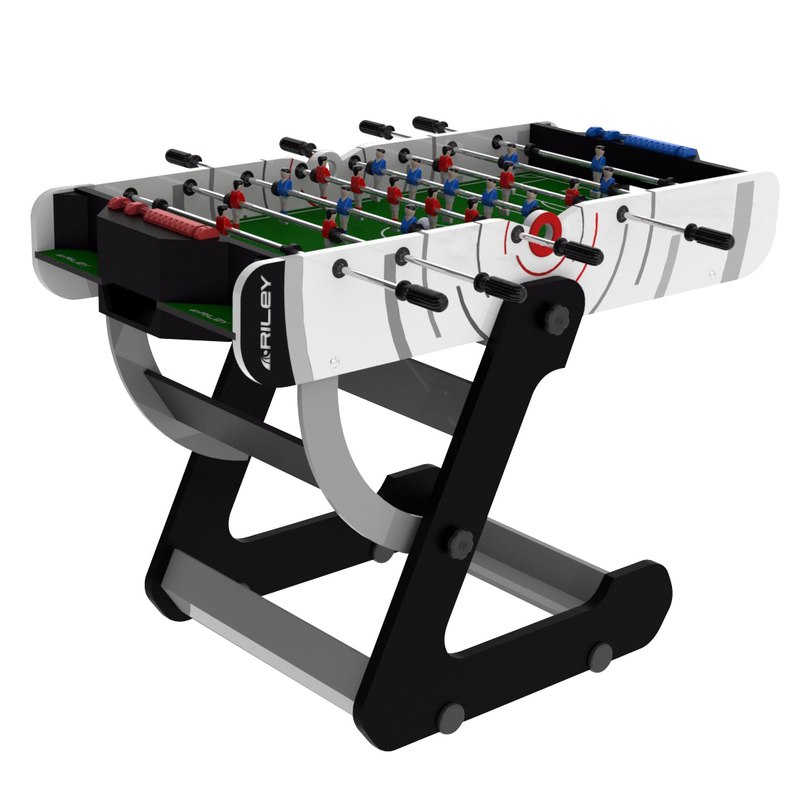 It features blue and red players in 1-2-5-3 formation and is ready to use as balls and scorers are included. 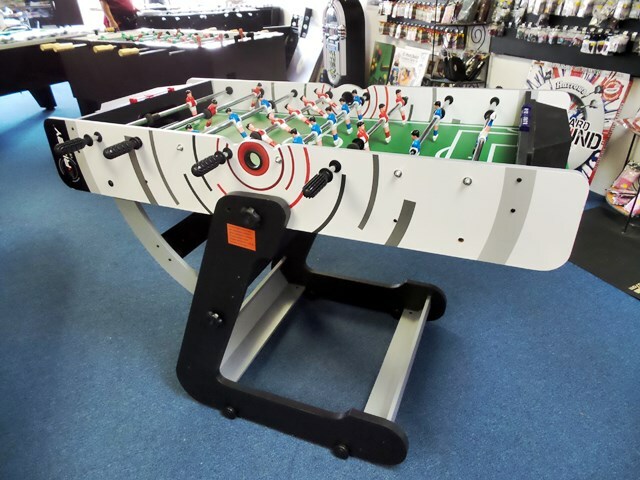 This indoor table includes telescopic rods for added safety. How much is this table? How can I order it? Thanks. 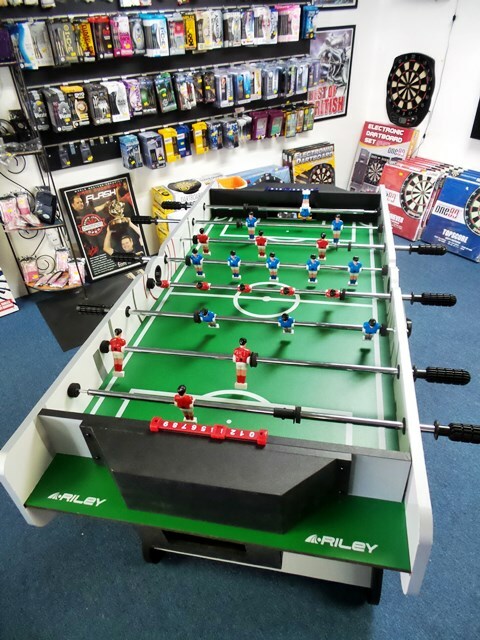 Riley 4ft 6 in Olympic Folding Table is RM 2,750 not included delivery and installation. May I know how much is Riley 4ft foldable? Is it ready stock? including delivery and assembly in Klang Valley. Hi, you are referring to the sample photos of the table above right? It is the same design as above? Hi WK, we are sorry. Riley 4ft Foldable not available at the moment. Hi, Riley 4ft Foldable is still not available. Sorry..
May I know how much is Riley 4ft foldable and 4ft 6 in Olympic Folding Table? Is it ready stock?